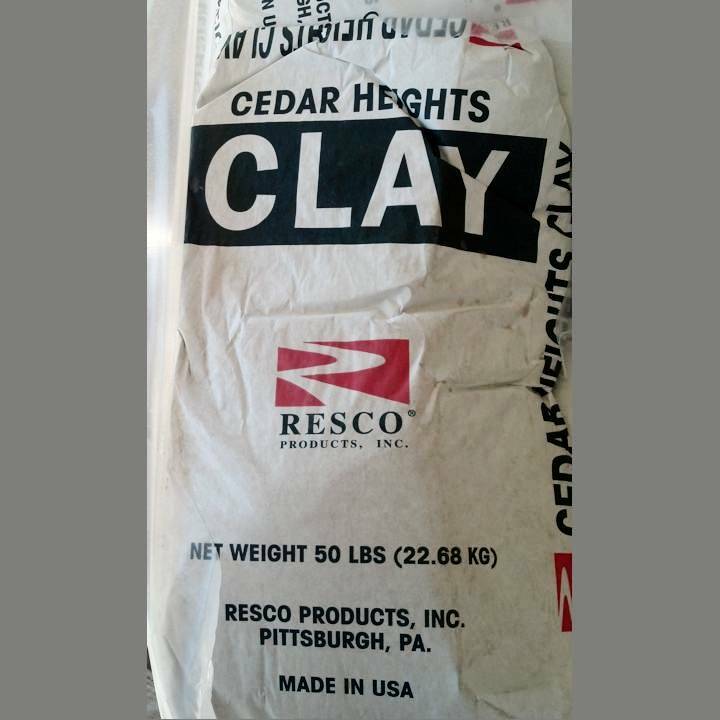 Clay Materials are usually available in large bags of 10 or 50 lbs. Glaze Materials are all those little things that you need by the pound. Mason Stains are not all the same, some are for glazes, some are body stains for slips. Wet deffloculants for making casting slips. Everything you will use a lot of like silica, kaolins, ball clays and feldspars. Mason stains are pigments used to make colored glazes, underglazes and can be used to make colored clays, but, be aware that all the colors have special rules. 1. Can be used as a 'body stain' in porcelain at high temperatures. All of the brown colors can be used as 'body stains' but will vary in shade considerably depending on the composition of the body and temperature at which it is fired. Firing Temperatures can only be a rough guide. Firing at 2200 degrees F on a slow schedule may give the equivalent maturing as firing at 2300 degrees F on a fast schedule. The cycle, atmosphere and rate of cooling will affect the color. 2. Max. firing limit 2156 degrees F (1180 degrees C). 3. Max. firing limit 2300 degrees F (1260 degrees C). 4. Max firing limit 1976 degrees F (1080 degrees C). Zinc Oxide influences the color in a glaze more than any other element. Generally, zincless glazes should not contain magnesium oxide. Some colors containing zinc are to be used in a zincless glaze. The zinc in the color is in a combined form and will not harm the color, but free zinc oxide in the glaze can destroy the color. 6. May be used with zinc or without zinc. Calcium Oxide content as calcium carbonate should be between 12-15% for best color development. Adding the molecular equivalent of calcium oxide with wollastonite, a natural calcium silicate, often gives better uniformity. The increased silica from the wollastonite must be subtracted or the glaze will have a poor surface. GLAZE MATERIALS are available in different amounts, stated on each individual item. There are price breaks for the more you buy! !